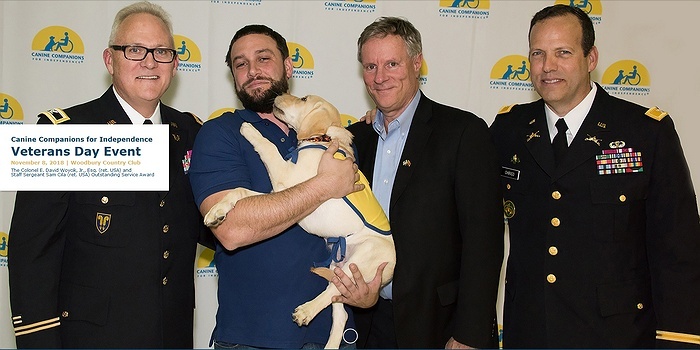 Subject: LongIsland.com - Your Name sent you Event details of "Canine Companions for Independence Annual Veterans Day Event"
Join Canine Companions for Independence at the Colonel E. David Woycik, Jr., Esq. (ret. USA) and Staff Sergeant Sam Cila (ret. USA) Outstanding Service Award Veterans Day Event as we honor those that served. The award is presented each year to a deserving recipient who goes above and beyond to help our heroes who have sacrificed so much in order for us to continue to enjoy our rights and freedoms.